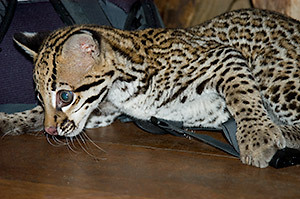 We did our best to refrain from interacting with this orphaned baby ocelot in the Amazon, but the little guy was determined to steal Stephen's hat while we ate breakfast. For me, there are no ABCs of travel. I just stop at A. As long as a trip promises either archaeology or animals (or even better, both), I figure I will love it. Especially the animals. I’m not necessarily talking about exotic animals here. 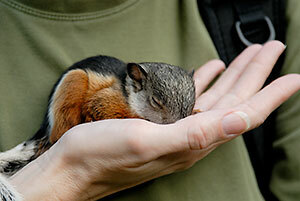 One of the highlights of my trip to Costa Rica was a baby squirrel, and squirrels are a dime a dozen in the Americas. I was thrilled by puppies in Bhutan. But I’ve also gotten close to a Caiman in Peru and spied a sloth in Costa Rica. I’ve seen a sea turtle lay her eggs and followed frogs through the jungle. I’ve looked at a langur and observed an ocelot. * What I haven’t done is go to one of those places where you can hold a baby tiger or swim with the dolphins. I don’t have to put my hands on an animal to appreciate it or enjoy it. 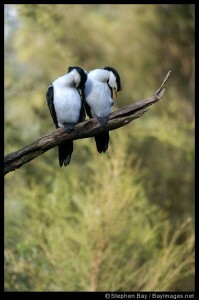 So where does someone like me, who wants to catch a glimpse of animals in their native habitat, go on vacation? When you get away from the city, it actually isn’t that unusual to encounter birds and animals on almost any type of trip. If I book through a tour company, I always make sure to let them know that I am interested in nature hikes. Sometimes you don’t even need to leave the hotel. In Costa Rica, we sat on the balcony in front of our room and counted probably 20 species of bird and saw a giant praying mantis. In the Peruvian Amazon, we found the largest spider I have ever seen in my life right in our cabin. Okay, so that last encounter was a little closer than I wanted. But you get the point. When you go to places that are sparsely populated by humans, there is no telling what you will see. My most amazing animal encounters have always been by chance. There isn’t much about a zoo that is magical, but spotting a Resplendent Quetzel in the Monteverde cloud forest is definitely magical. 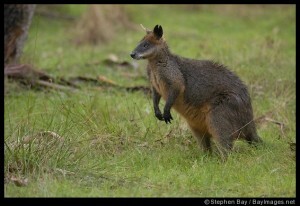 A wallaby in the wild. Recently, I’ve started to wonder about some of those places that feature proximity to a certain animal. Some of these places are merely exploitative, even when they espouse a conservation message. But what about places like GibbonX in Laos or Giraffe Manor in Kenya. Both of these, especially GibbonX, appear to actually act on their conservation aims. The Lewa Wildlife Conservancy in Kenya has excellent conservation credentials, and they run a safari camp for tourists. Of course, the Galapagos Islands are the pinnacle of wildlife travel. That is my dream trip, but I am still working on overcoming seasickness. GibbonX is also very high on my list. As I further investigate and hopefully visit some of these spots, I will post about them here. I would also be very interested in hearing about other places to visit that offer animal sightings, as well as getting feedback on the places I mentioned above. *Apologies for the alliteration. I just couldn’t help myself. Never apologize! love your animal stories.